London, UK— Fund for Shared Insight selected Keystone Accountability to receive additional funding to continue their efforts to improve philanthropy. Keystone Accountability was one of 14 nonprofits awarded a grant in 2014 to strengthen feedback systems. Ultimately Keystone Accountability, with the support of Shared Insight, hopes to foster more openness between and among foundations and nonprofits. 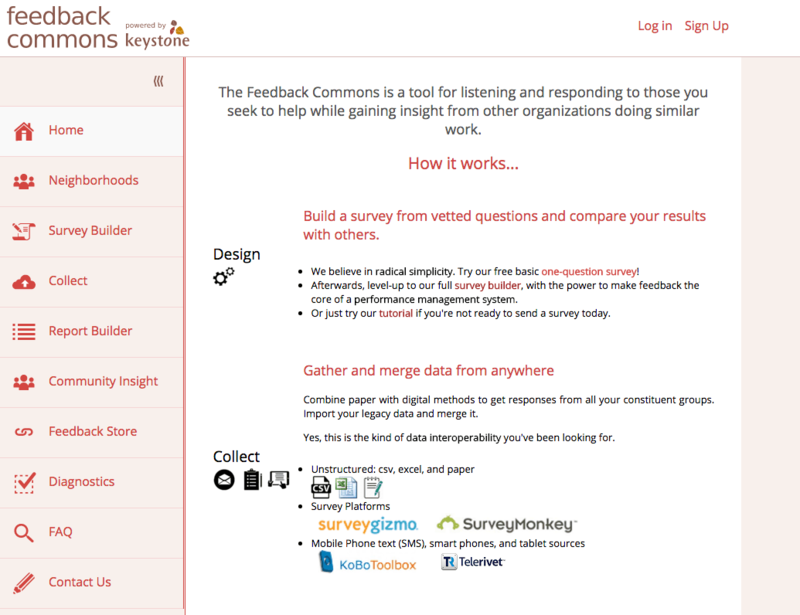 Keystone Accountability will use the funding it receives to continue the development and implementation of Feedback Commons, an online platform where organizations can access curated questions/tools/resources and contribute to generating comparative data sets. “Everyone who works to solve social problems knows it is true. And now we have an easy way to measure it. Thanks to the Fund For Shared Insight, we are able to offer everything an organisation needs to measure what most matters in its relationships and performance from a single platform. 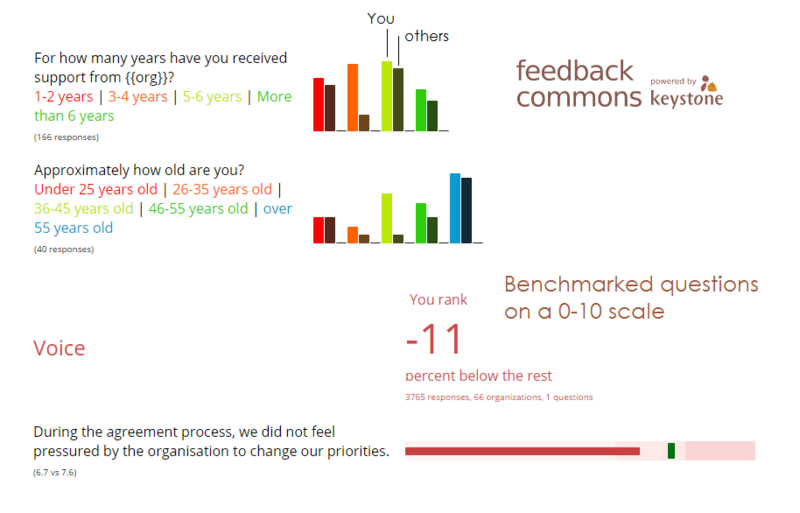 The Feedback Commons is still very much an early prototype, but we invite organisations to join with us to make it serve them better,” said Keystone Chief Executive, David Bonbright. For more information or to learn more about Shared Insight grants visit http://www.fundforsharedinsight.org/2014-2017-grants/. Since 2004 Keystone has helped organizations develop new ways of planning, measuring and reporting on their results. Our methods focus on incorporating the voices of beneficiaries and other constituents. Keystone’s mission is to improve the effectiveness of social purpose organizations. We work with a wide range of partners including major foundations, international development agencies and local organizations to develop better ways of planning, measuring and reporting social change. Keystone is a founding member of Feedback Labs, a group creating real conversations between governments, NGOs, donors, and citizens through human-centered design, adaptive processes, technology, and trust. Fund for Shared Insight (“Shared Insight”) is a collaborative effort among funders that pools financial and other resources to make grants to improve philanthropy. Shared Insight emerged from a belief that foundations will be more effective and make an even bigger difference in the world if they are open to listening to others and sharing lessons learned. Shared Insight provides grants to nonprofit organizations to encourage and incorporate feedback from the people they seek to help; understand the connection between feedback and better results; foster more openness between and among foundations and grantees; and share lessons learned. Fund for Shared Insight welcomes additional funders to learn more about our effort. For more information, visit www.fundforsharedinsight.org or contact Melinda Tuan at melinda@fundforsharedinsight.org. This entry was posted in Uncategorized and tagged Feedback Commons, Feedback Loops, Fund for Shared Insight, Keystone. Bookmark the permalink.